A dedicated group of young professionals between the ages of 25-45 years old who are championing the power and potential of art, clay, and culture. Launched in 2015, the Gardiner Museum’s Young Patron Circle (YPC) program offers young professionals exclusive opportunities to connect with a like-minded community of culturally-engaged individuals looking to improve their own knowledge of art, culture, and collecting, while providing philanthropic support to a world-renowned cultural institution and shaping its future. 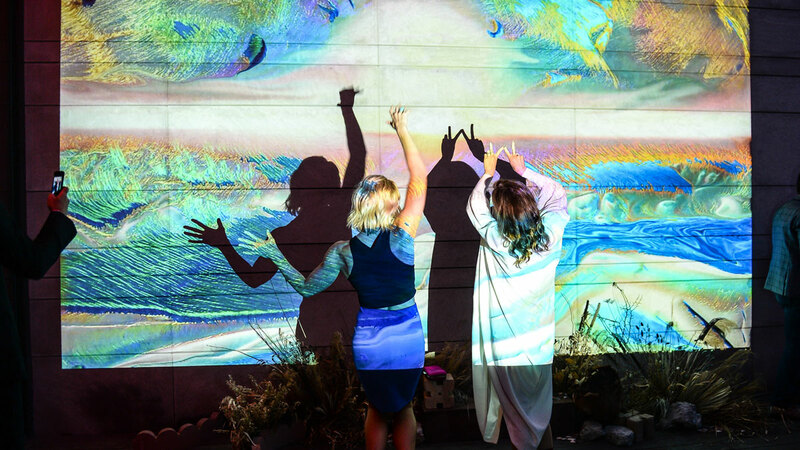 Joining the YPC means building connections to local artists, curators, and collections; access to exclusive patron events; participation in our Patron Insider Events; invitations to special studio and home visits; and a complimentary ticket to SMASH, the Gardiner’s annual art party hosted by the YPC. Our YPC Committee welcomes new members. Join today if you’re creative, open-minded, and committed to the arts. For more information, please contact us at 416.586.8080 or mail@gardinermuseum.com. All Patron Circle benefits, which you can view here. Note: Programs marked with (*) are complimentary for YPC members. Tickets to public events can be purchased by YPC members at the Gardiner Friends rate. Queer Asian collective New Ho Queen is curating an art party that will break down walls and boundaries and explore how building bridges and fostering chosen families creates subcultural spaces for belonging. Tickets are $8 for Gardiner Friends. SMASH: Nourish is a night of bold artwork, delicious cuisine, refreshing drinks, and invigorating experiences. This year, we’ll explore and experiment with different forms of nourishment: food and drink, good company and conversation, and of course, art—all of which provide deep and rich sustenance. Artist Nurielle Stern chatted with YPC members about her work Unswept Floor (Tesserae), an installation of small-scale ceramic sculptures in response to the exhibition Ai Weiwei: Unbroken. Apart from a magnificent permanent collection, the Gardiner Museum attracted me because it is a premier cultural institution with a dynamic and bright future ahead of it. It is a landmark with a solid foundation, and unlimited upward trajectory. The Gardiner is building an institution which will be even more meaningful, relevant, and engaged in the community. I am looking forward to helping build the Gardiner Museum of tomorrow. Senior Marketing Partner, CI Investments Inc.
Passionate about arts and culture and a big fan of Toronto, I was looking for an opportunity to be more involved in the community while being immersed in arts. After volunteering for an event at the Gardiner Museum, I loved the diversity and uniqueness of this institution. Being a founding member provides me with an outlet to hopefully bring this great museum to more people who love Toronto and love unique art. The Gardiner Museum has a wonderful vision and I’m happy to be a part of it! Hughene has always enjoyed an afternoon cup of tea, more so in a beautiful porcelain cup. Working in the Decorative Arts and ceramics specifically, I had heard about the Gardiner Museum and its collections, which provided my introduction to Toronto; after making this amazing city my home, my objective was to learn more about the arts community and possibly contribute to its growth. The Gardiner graciously welcomed me, resulting in an exchange of knowledge and some cherished friendships. I most admire the Gardiner’s commitment to cross-cultural conversations through art. The Gardiner Museum’s unique ability to incorporate up and coming international and Canadian artists while showcasing a vast collection of our industry’s standards is an experience like no other. It’s easy to see why this hidden gem is such a treasure! From the gorgeous facade to the unique collection inside, the Gardiner Museum presents an opportunity for me to deeply engage in the arts and culture of Toronto. It is a hidden gem in the city, which I would like more people to know about and support. I am excited for the future of this fine place, and to help engage the community and bring more young patrons to discover this cultural institution.